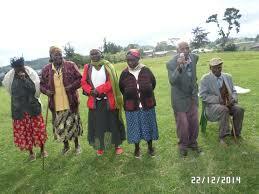 The Elderly from Nyeri County are requesting the county Government for blankets because of too much cold. The men and women complained through their local union and said that pneumonia is killing them because of the cold season and they are unable to afford blankets. They said that two of died from cold related diseases recently and the rest are now calling on the County Government and well wishers to donate blankets and heavy coats to them so that they are protected from the cold. Their 68 year old Chairman told the media that the chilly weather is seriously affecting them negatively and many are now sick. They cannot afford blankets and warm clothes and that is why they are now asking the County Government for help.